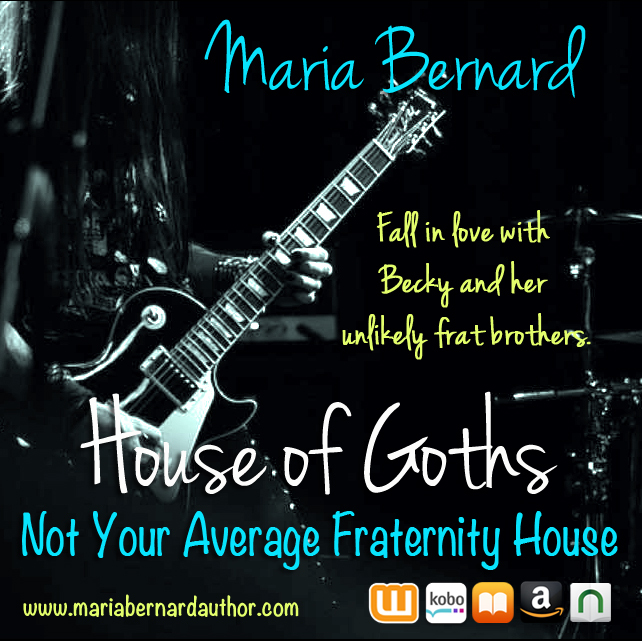 Fall in love with Becky and her unlikely fraternity brothers! Becky Sparks refuses to spend her college years in a cold, lonely dorm. Bassist Kelley Keele is a gorgeous Goth with a dark past. 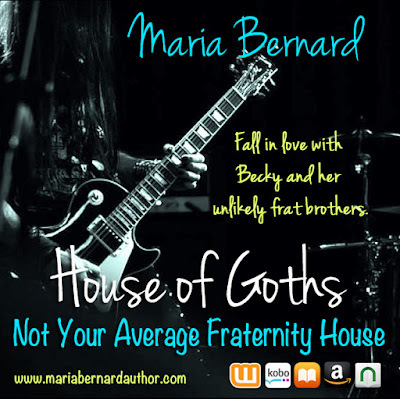 He resides at what he and his bandmates, Crispin, and Dorian, refer to as the House of Goths. Thrown together by fate, Becky forms an instant bond with Kell. Desperate for a home, she shows up unannounced on his front porch, suitcase in hand. Do they take her in or turn her away? On the drive over to the college bar where they were playing that night, Becky couldn’t help but be super excited. The guys all looked so hot. They were handsome devils on a regular day, but tonight they looked incredible. Not only did they look awesome, they smelled yummy too, all wrapped up into an intoxicating blend of warm leather and black liquorice. ❥ I freakin Love This Book!!! ❥ AWWWWW! Love, love, love! ❥ Oh my, I can't put this story out of hand. I love it! Binge read all six at your own pace! Dream Crush gets a new look! Rockstar Romance Blitz & Giveaway!